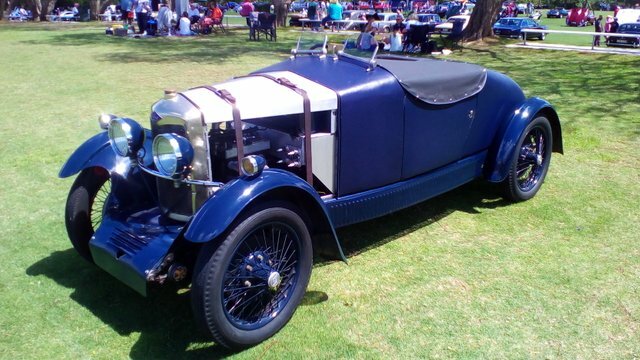 This beautiful 1930s Riley special was at the All British car day in Brisbane Australia last year. My entry in the #vehiclephotography contest by @juliank. Congratulations! This post has been upvoted from the communal account, @minnowsupport, by j85063 from the Minnow Support Project. It's a witness project run by aggroed, ausbitbank, teamsteem, someguy123, neoxian, followbtcnews, and netuoso. The goal is to help Steemit grow by supporting Minnows. Please find us at the Peace, Abundance, and Liberty Network (PALnet) Discord Channel. It's a completely public and open space to all members of the Steemit community who voluntarily choose to be there. 295 votes lol, nice 1 bro. that had me giggling much.